HT Cable is produced by utilizing high review crude materials and according to cutting edge modern models for the need of different commercial enterprises. All these HT Power Cables are to a great degree refreshing and cheered among our regarded customers for their elite and immense solidness. High Tension Cable is for the most part used in transmitting of electrical power and is effectively introduced as changeless wiring among structures. Further, all these HT Cables are extraordinarily fabricated to hold high voltages and are broadly utilized as a part of a few applications like mechanical, business and private divisions. Clients can profit our world class scope of links at the business sector driving costs. All our scope of High Voltage Cables is very safe and is totally ideal for wide recurrence range. In this way, Brilltech is viewed as one of the trusted Manufacturers, Exporters and Suppliers of HT Cable from Uttar Pradesh (India). LT link is known as a standout among the most sturdy things that are used in the ascendancy of the electrical circulation framework while creating stations, substations and other electrical applications territories. LT Power Cables are made in consistence with universal guidelines and by utilizing high review crude materials. In this way, our Low Tension Cable is to a great degree accessible at pocket benevolent costs for every one of our customers of India, Africa and Middle East Countries. All these LT Cables are tried under a few quality parameters by our gifted specialists of the whole way across the world. In addition, our items are eminent in overall business sector inferable from their sturdiness, high proficiency, low cost and hearty build. Because of our colossal encounters and ability in our involved fields, we give our scope of items in mass reach to our clients. 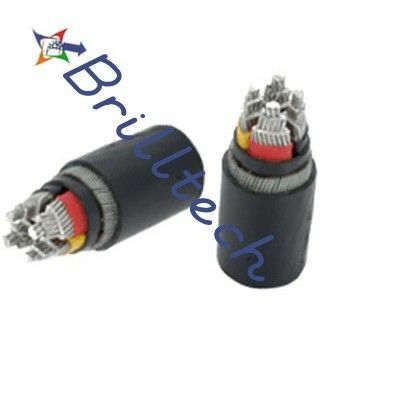 All things considered, Brilltech is famous as one of the marvelous Manufacturers, Exporters and Suppliers of LT Cable from India.